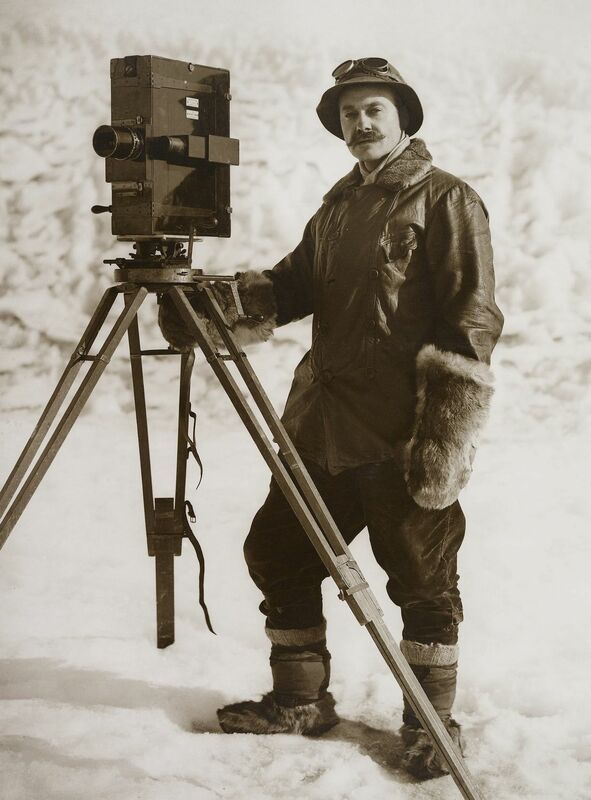 Photograph of a full length portrait of Herbert George Ponting (1870-1935) standing next to his "kinematograph" film camera. He wears a hat with goggles on top of it and fur gloves. This self-portrait shows Herbert Ponting with his film camera. Ponting was the first professional photographer and film-maker to accompany an expedition to the Antarctic. He took several still cameras with him, as well as this cinematographic camera. Ponting also had to bring with him all the chemicals and developing equipment required to set up a darkroom in the expedition hut.